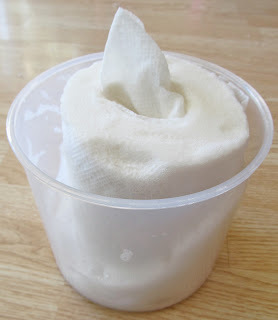 To make your own baby wipes you will need a roll of good quality paper towels (I used Bounty, but I've heard that Viva works well too), baby wash (I used Parent's Choice with Lavender), baby oil (I used Johnson's), baby lotion (this is optional. I used Johnson's Bedtime Lotion....it smells amazing!! ), water, and a container with a good seal. 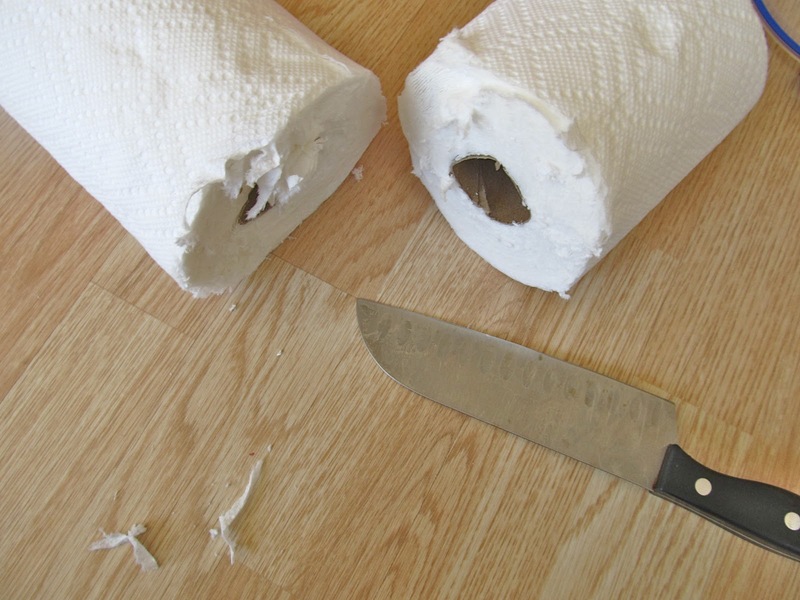 First, cut the roll of paper towels in half using a sharp knife. Apparently mine wasn't quite sharp enough as it didn't make a very pretty cut....oh well. 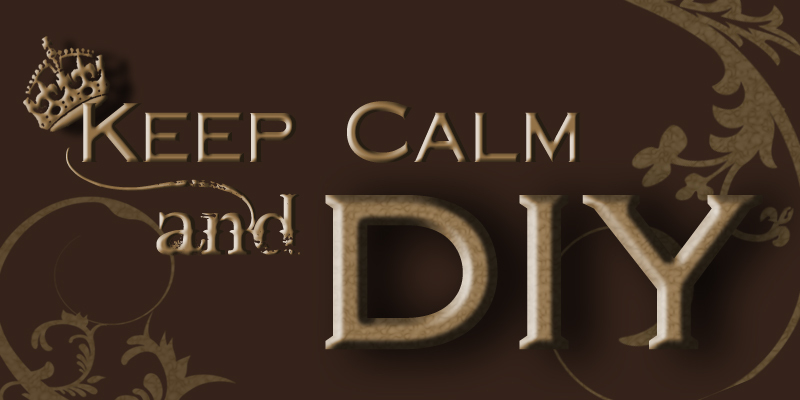 :) It works. 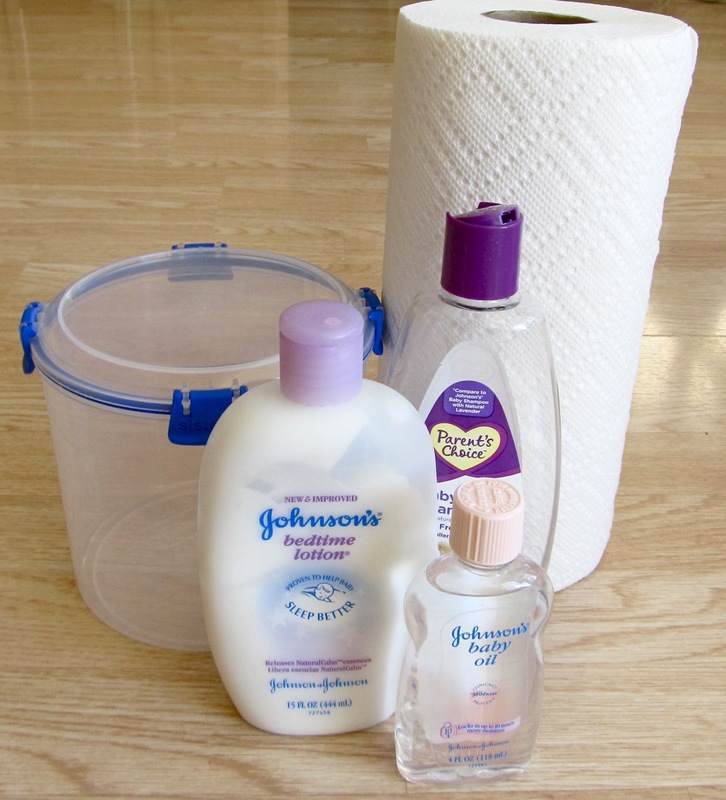 Put 2 cups of warm water in your container, then add 2 tablespoons of baby oil, 2.5 tablespoons of baby wash, and 1.5 tablespoons of baby lotion. Put the lid on and shake to stir. Put one of the halves of the paper towel roll into the container and seal the lid. After the bottom half was wet I turned it upside down to moisten the other half.